Ana Rodriguez spent her childhood and young adult years moving. Literally. Born in the Dominican Republic, Rodriguez says her formative years were very similar to those of almost every other Caribbean immigrant—moving back and forth between the United States and her country of origin as her family’s job and social situation changed. The constant moving, not only between countries, but also within the United States, was positive in some respects. It taught her to adapt to almost any situation and to be tolerant of different backgrounds and points of view. However, Roodriguez also lacked the sense of community and “home” others had, and in the era before social media, connections were hard to forge. 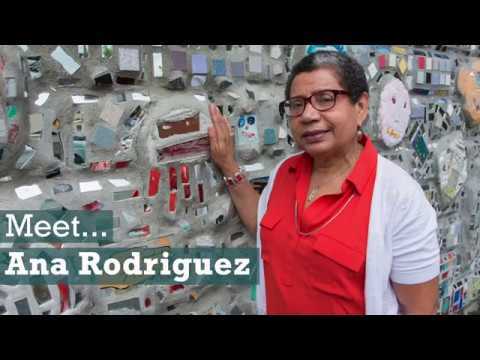 That’s why when Rodriguez visited her sister in Lawrence, Massachusetts, and liked the small, friendly atmosphere, she decided to put down roots. Since settling in Lawrence in 1986, Rodriguez not only has done that, but has worked to make the city of 78,000 a comfortable, affordable community for all of its residents. Rodriguez' first foray into community change was a fight against a destructive approach to “urban renewal” in a nearby neighborhood that had demolished homes, forcing residents of an entire block to move. She banded together with other residents and Lawrence CommunityWorks (then called Immigrant City Community Housing) to ensure that revitalization included an adequate supply of housing affordable for lower-income families. That kicked off a deep involvement in the broader community, including coordination of a violence-prevention coalition. In 1993, she was invited to join the board of NeighborWorks member Lawrence CommunityWorks, where she is credited with bringing a much-needed focus on youth and residents with mental health and developmental challenges. After earning her master’s degree in human services, Rodriguez earned a position as a social worker with the Massachusetts Department of Mental Health, and she has extended the benefits of that experience to her community. One prime example is the redevelopment of the former Duck Mill. The mill was originally built in 1896 to manufacture a heavy woven canvas called “Duck” used to make sails, tents, backpacks, sneakers and other products requiring a stiff, durable fabric. Manufacturing stopped in about 1950, and after a stint as a furniture store, the building was left vacant. In 2008, Lawrence CommunityWorks purchased the building and started a process that culminated this year in the opening of 73 affordable apartments and 10,000 square feet of ground-floor shops and restaurants. Ana was a strong advocate for ensuring the affordability of the units as well as including dedicated apartments for those with mental and physical challenges. As a result of her advocacy and knowledgeable input, about 10 percent of the development was set-aside for residents with these special needs.